Liadh Fitzgerald, MSc is a Biomedical Nutritionist specialising in the fields of Reproductive Health and Women’s Health. With over ten years clinical experience Liadh works with a wide variety of women and couples who wish to enhance their reproductive function and those who are undergoing fertility treatments such as IVF/ICIS. Liadh is no stranger to the often painful and sometimes private journey towards parenthood having undergone fertility treatment herself, and she feels privileged that she will now be part of that same journey with the clients of the Scotia Clinic. Also specialising in women’s health Liadh uses targeted nutritional and nutraceutical interventions to help clients manage such conditions as endometriosis, PCOS, menopausal symptoms and weight management. Liadh is also an educator and works as a product trainer with a European based pharmaceutical company, as a Nutrition Lecturer and Senior Clinical Supervisor with a prominent Irish college and as a tutor for a multinational company who train healthcare staff in Ireland. Liadh also teaches the ‘Know my Cycle’ programme which teaches women how to chart, read and understand their monthly cycle, giving them an invaluable insight into the workings of their reproductive system. Strives towards excellent patient outcomes that improve quality of life and relieve suffering through a holistic treatment approach. He provides a quality service with effective individual patient treatment pathways for sufferers of musculoskeletal pain (chronic and acute). His patients will be educated on managing their condition with his unconditional professional support, giving the highest value for all concerned. Physical Therapy addresses these conditions and more, while providing a unique tailored approach to your treatment. It is central to any treatment required to restore you to a pain free life and to optimum health. Call 087 7572070 for an appointment. 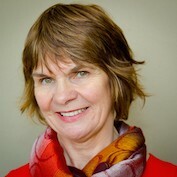 Mary works with a relational humanistic approach, integrating CBT ; Cognitive Behaviour Therapy, solution focused therapy and Gestalt Therapy. Her special interest in fertility issues include supporting people in their decisions regarding fertility treatments and fertility related issues of loss/ bereavement associated with miscarriage, stillbirth and the loss of a planned future. She also work extensively with adolescents having worked as a student counsellor for many years. Specialising in fertility and maternity. Alexandra has been credited with having the gift of healing touch. Committed to her clients, Alexandra believes massage should be part of everyone’s life. As a full time fertility, maternity and post-natal massage therapist. Alexandra is well aware of the infertility epidemic happening right now in Ireland. “The lack of fertility massage available cries out as a need to be filled, especially in a busy woman’s life today”. Alexandra uses her international wealth of knowledge, awareness and experience to bring you a deeply healing experience with lasting results. Deep Tissue and Therapeutic massage also available. Red Lotus is run by Eithne Griffin, of Castlegregory. She practices Acupuncture, Cranio Sacral Therapy, Homeopathy, Massage, Reflexology, Nutrition. Eithne combines all her qualifications for best results. She treats fertility issues, pregnancy, menopause and all gynaecological issues, new born babies and children, sport injuries, pain and all other internal/external ailments. She offers free Stress Therapy/Life Coaching and One-to-One Meditation with all treatments. Combining her own experience of ill-health with her qualifications she brings healing to a deeper level. Eithne practices at Scotia Clinic, Tralee, Dingle Medical Centre, Dingle and at Beenoskee Holistic Clinic, Castlegregory. At Kerry Speech & Language Therapy Clinic we provide quality, evidence based speech and language therapy delivered by highly experienced and skilled Senior grade therapists. Children with eating and swallowing disorders (for example babies with difficulties progressing to lumpy or solid food, picky eaters, children with difficulties chewing food and more). Therapy for children with oro-motor problems (for example drooling). Adults acquired speech and language difficulties (for example in stroke, Parkinson’s disease, MND, dementia, acquired brain injury). Voice difficulties (therapy for occupational and muscle tension dysphonia, vocal nodules, singing voice). Consultation with other professionals including psychologists, behavioural specialist, psychotherapists and physiotherapists is available as required. Assessment and therapy through Polish is available. 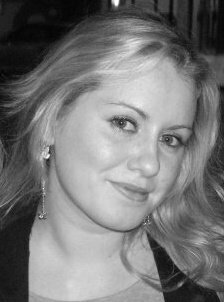 Dominika is originally from Poland and has been living and working in County Kerry since 2003. 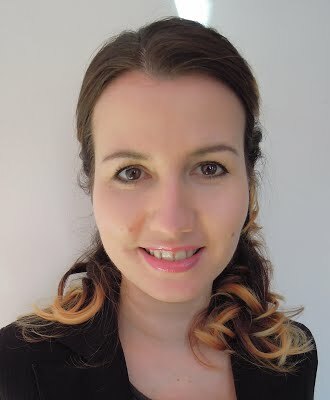 Dominika has achieved her Master’s Degree from Academy of Education in Warsaw in 2003. She is also fully qualified as a special needs teacher. 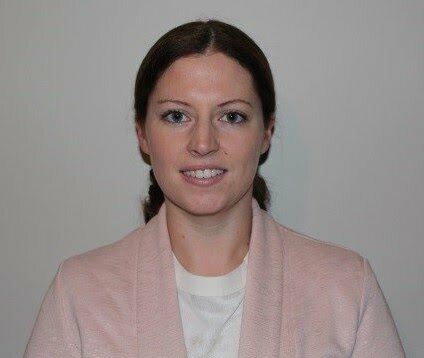 Dominika has over 14 years of clinical experience of working both paediatric and adult. 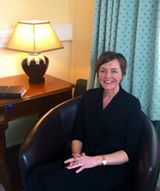 She worked at St. John of God, Enable Ireland, brothers of Charity, Kerry General Hospital and University College Cork. She began private work at Scotia Clinic at 2007. 2006 – The Good Goal Setting Guide and Clinical Reasoning. 2006 – Introduction to Assessment and Management of the Tracheotomised and Ventilator-dependent Adult. Management of Eating, Drinking and Swallowing in Adults and Paediatric. 2005 – Communication Difficulties in People with Dementia. 2015 – Early Start Denver Model for Young Children with Autism (Introductory and Advanced course, currently during certification process in the MIND Institute, California). 2011 – Lámh Tutor – full qualifications achieved. 2010 – PECS: Picture Exchange Communication System. 2007 – Breastfeeding in premature babies. 2007 – Paediatric Feeding & Swallowing: Complex Issues for Complex Patients. 2006 – It Takes Two To Talk – The Hanen Programme. 2006 – Derbyshire Language Scheme. 2006 – Lámh; Module 1 and 2. 2005 – Bobath Course for Speech & Language Therapist. 2005 – Assessing and Analysing School Aged Language Impairment. 2004 – Learning Language and Love It – The Hanen Programme. 2003 – Multispecialistic Therapy of Children with Clefts. 2003 – Educational Kinesiology “Brain Gym”. 2002 – Diagnosis and Therapy of Stammering. Marian joined Kerry Speech and Language Therapy Clinic in February 2015 and is originally from Currow. Marian is a Senior Speech and Language Therapist who completed her speech and language therapy degree in University College Cork and graduated in June 2009. Marian then worked as an SLT in the Central Remedial Clinic in Dublin until May 2010 when she returned home to begin work with Down Syndrome Kerry, where she still works part time as their Senior SLT. Marian took a part-time post with Kerry Intervention and Disability Services Tralee where she worked between May 2014 and February 2015 before leaving to join Kerry Speech and Language Therapy Clinic in February 2015. 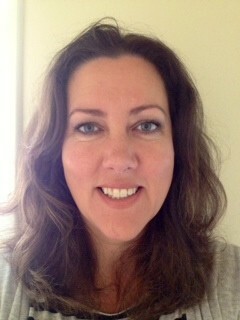 Marian has over 5 years experience of working with a wide variety of client groups, both paediatric and adult. Marian has particular experience in working with children presenting with a range of developmental speech and language delays and disorders.